Cork and Dublin are to benefit from a €200m deal to increase student resident accommodation in both cities. The deal, a joint venture between Harrison Street Real Estate Capital (HSRE) and the Global Student Accommodation Group (GSA), will see a total of 1,325 student beds added to the GSA/Harrison Street portfolio. The investment brings to more than 3,000 the number of beds delivered under the joint venture which is investing in projects alongside funds managed by NTM Capital LLP, a real estate private equity fund manager. GSA, headquartered in Dubai, has an existing portfolio of 1,000 beds in Dublin and a pipeline of some 800 beds due for delivery this year. Harrison Street, the Chicago-headquartered real estate investment firm with $13.7bn (€11.1bn) in assets under management, has been in a joint venture with GSA since 2015 to target student accommodation in Ireland. GSA, which develops, manages and invests in student accommodation in Australia, China, Dubai, Germany, Ireland, Spain, Japan and the UK, operates the properties under its Uninest Student Residences brand. 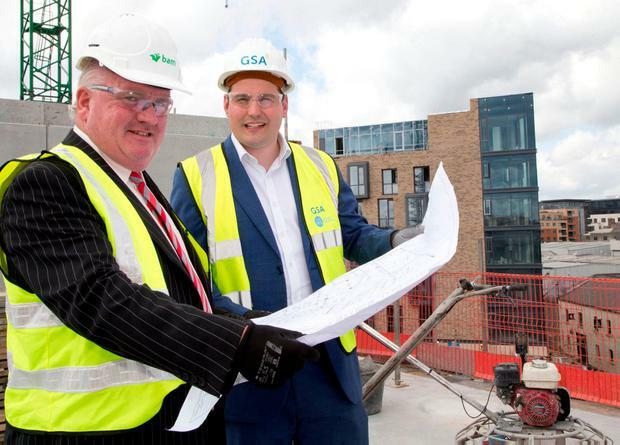 Aaron Bailey, the Dublin- based head of construction for GSA Europe, says the group's rapid expansion in Dublin is expected to help ease unprecedented demand for student accommodation in the capital and release pressure on local housing stock. As part of the deal, GSA will be entering the Cork market with two Uninest student residences, a 190-bed development close to the entrance to University College Cork and a 413-bed residence on a former Beamish brewery site. GSA will also expand its Dublin portfolio with a 402-bed development adjacent to the Grangegorman Campus and a 320-bed development close to its existing Broadstone Hall property in the capital. The deal comes as Biotricity Maubourguet SAS, a French member of the Irish-based Biotricity group of companies, has been awarded 20-year Contract for Difference (CfD) support for France's first-ever straw fuelled Combined Heat and Power (CHP) plant. The €100m facility has been described by Declan Kennedy, Biotricity Ireland, as "a major milestone". Food innovation dominates an online list of '10 Irish Inventions that Changed the World'. This includes the flavoured potato crisp, the cream cracker and the mighty rasher. Ballybrada House in Ballybrado near Cahir in Co Tipperary, which was considered to be one of Ireland's finest residences when completed in 1879, is the Irish mansion built on rashers. Donal O'Donovan NEW figures show the scale of pent-up demand among would-be home buyers with approvals running well ahead of mortgage drawdowns.